As per the Motor Vehicles Act, it is mandatory for every car plying on the roads in India to be insured with at least a third-party liability cover. Car insurance protects the policyholder from unforeseen liabilities as a result of an unfortunate mishap. Car insurance can be comprehensive or liability only. 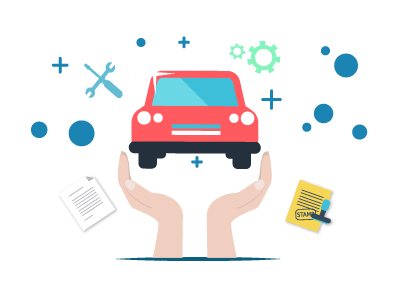 A comprehensive car insurance plan covers third-party liabilities and own damage liabilities while a third-party liability car insurance plan covers only third-party liability at the time of a mishap. A third-party car insurance or liability-only cover is one of the insurance policies available under general insurance. Third-party liability cover is simple, offers a limited coverage and is mandatory as per the Motor Vehicles Act. It is of absolute importance and in the interest of all those cars plying on the roads to insure your vehicle with a third-party liability cover. In case you suffer any loss/damage as a result of mishap that was someone else’s fault, you can choose to file a claim against the car owner who was at fault. In case you are at fault, the third party or third parties involved in the mishap can raise a claim against you. The claim process for third-party liability cover can vary depending on the kind of claim, type of incident and the severity of the incident. As per government law, compensation offered to the third-party for property damage cannot be over Rs.7.5 lakh. In case of a mishap that resulted in injury, death or disability of the third party involved in the accident, a third-party claim can be filed against the policyholder to receive appropriate compensation.